Akron, Ohio...Union Process, Inc., known globally as a manufacturer of size reduction and dispersing equipment as well as related services for a broad range of industrial applications, has built its first C-60 Continuous Attritor for an environmentally conscientious ceramics manufacturer that produces ceramic proppants and other ceramic media. 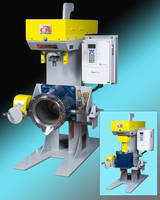 The C-60 Attritor will aid in the grinding of ceramic material pulled from the manufacturer's waste stream. This capability will save the manufacturer money and will also assist in complementing a developing green trend in the ceramics industry. The C-60 features stationary arms that are built into the sides of the grinding tank. 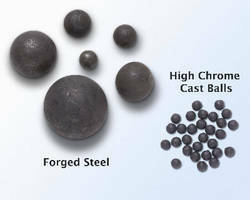 These stationary arms help to interrupt mass or build-up, and they also decrease the amount of wear on the tank. The stainless steel grinding tank of the C-60 has a gross volume of 79 gallons and is jacketed for cooling. 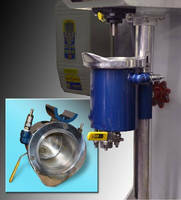 In addition to these features, the Attritor is equipped with a stainless steel inlet assembly with check valve. The media discharge valve is located at the bottom of the tank. Sales Manager Emery Li notes, "This new model C-60 fills the gap in size we had between our C-40 and C-100 Continuous Attritor." 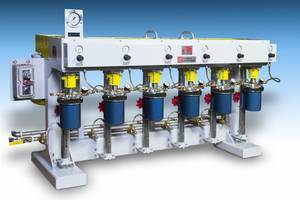 Continuous Attritors are ideal for continuous production and fast grinding of large quantities of material. They are designed to deliver a low-cost, low-maintenance operation. Common materials ground by C-Series Attritors include ceramics, paints, chocolate and other food products, paper coatings, and metal oxides. 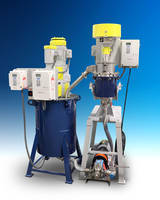 For more information on other Attritors including the entire line of production-sized mills, grinding media, lab services, refurbishing or reconditioning of Attritors, and custom toll processing, contact Union Process or visit www.unionprocess.com. Union Process is the inventor and developer of Attritor technology and manufactures wet and dry grinding mills as well as small media mills. Mills are sized for laboratory grinding. Multi-Purpose Mill features ultra-sanitary design.